Hindi totoo ang sinasabi ni Nora Aunor, dahil mayroong himala! Pwe! Movie quote aside, I am smitten with Pantene's new 3 Minute Miracle conditioner! 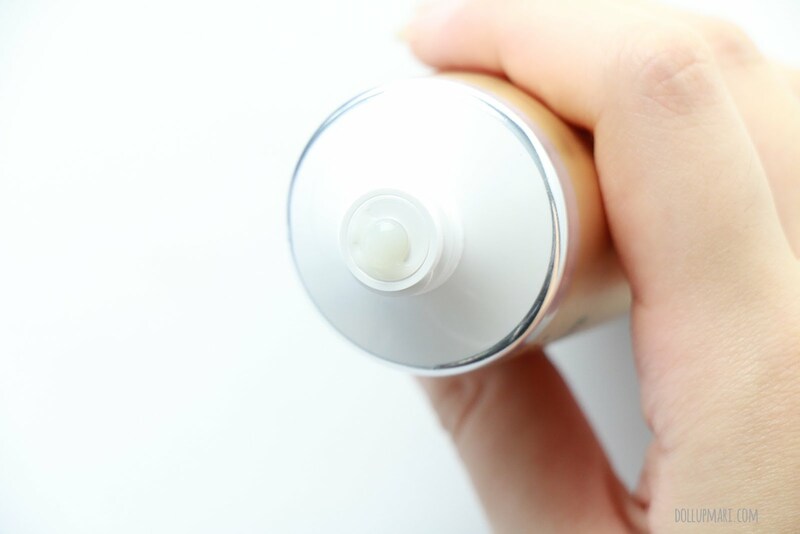 I know it's being hyped up a lot by bloggers and other influencers, but I can say that the hype is well founded because the product itself really delivers results and fulfills its promises. I got my sample through Everyday Me, but well, before I even start my review let me just say that I really am going to buy the full sized version of this product given how happy I am with it! And I WILL make sure that I do it before the end of March while their 50% off introductory promo is still ongoing (I know it's at Php 80 something right now vs. the original price of Php150-160 for the 180mL tube). I know that a lot of you guys were also curious like me when there were giant billboards along EDSA with just the silhouette of the product. I already knew that it was going to be a conditioner based on the silhouette, but the actual product was a surprise to me just as how it has shocked everyone else in Manila (in a good way). 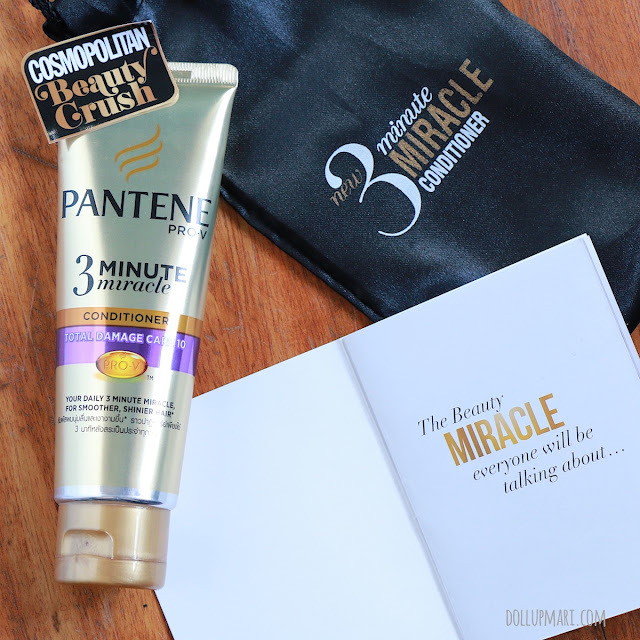 So, say hello to Pantene's 3 Minute Miracle. 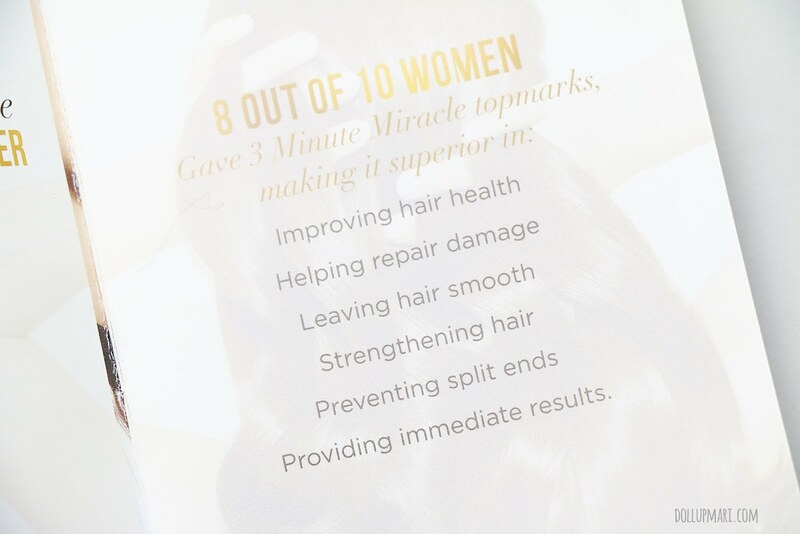 The main sales pitch is that it can reverse three months' worth of hair damage in three minutes. But they are also promising noticeably shinier, smoother hair upon usage of this product. I don't really get the directions relative to the sales pitch though. It is recommended for wash off, post shampoo use, everyday. But if you use this product everyday continuously, will you still be noticing the 'miracle' when your hair is already very nice? XDDDD It'd probably be funny to see people make their opinions months from now and they'd be complaining in social media that the miracle was gone after they used the product for three months not realizing how bad of a train wreck their hair was when they started hahahahaha. When I first saw this product's name, I initially thought that it would be a deep, once a week conditioner, or something to that effect. For the curious folks out there, here are the ingredients. At least there are no parabens. This product actually comes in three variants, one is this Damage Care 10, the other is for Hairfall Control, and the third one is for hair color maintenance. Sadly, only this variant has a 50% off introductory sale. Since this is an Everyday Me sample, it's just at 70mL. I don't think the stores have stocked up on this size yet. What probably shocked me about this is that it's such a rebel relative to the usual Pantene conditioner. The texture of the conditioner is very, very light and runny relative to all the icing like, super dense Pantene conditioners we grew up with. 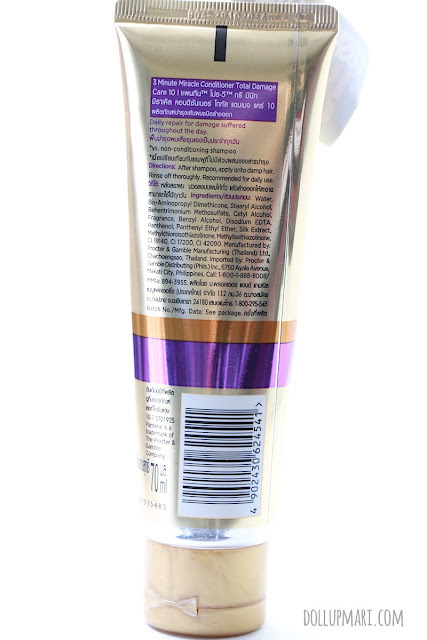 When I was applying this onto my hair I actually had doubts because it was so runny I was not sure if it was still nourishing.Thankfully, the results appeased me. 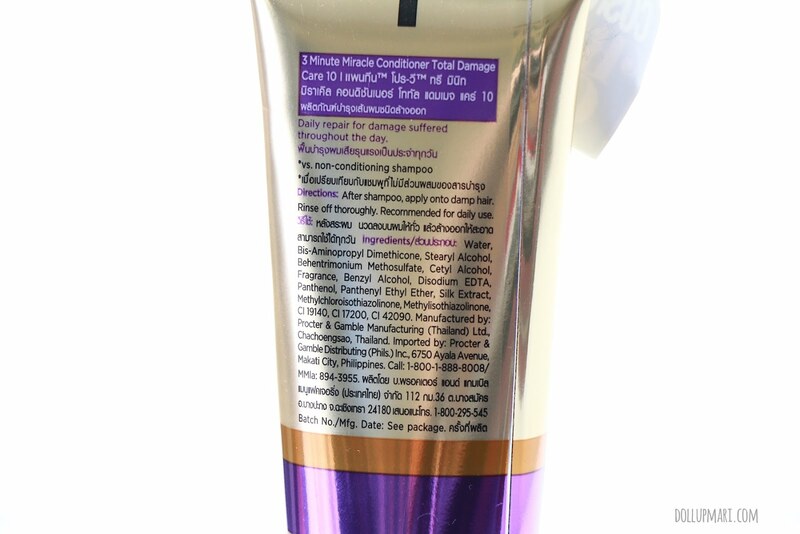 Of course, like every other conditioner, it has its promises to improve hair health and solve damage, but what probably makes it stand out is the 'providing immediate results' clause because we know that most conditioners cannot solve the woes of women with damaged hair overnight. And ermagherd I forgot to rave about the scent! DA FRAGRANCE IS TO DIE FOR MY FRIENDS. 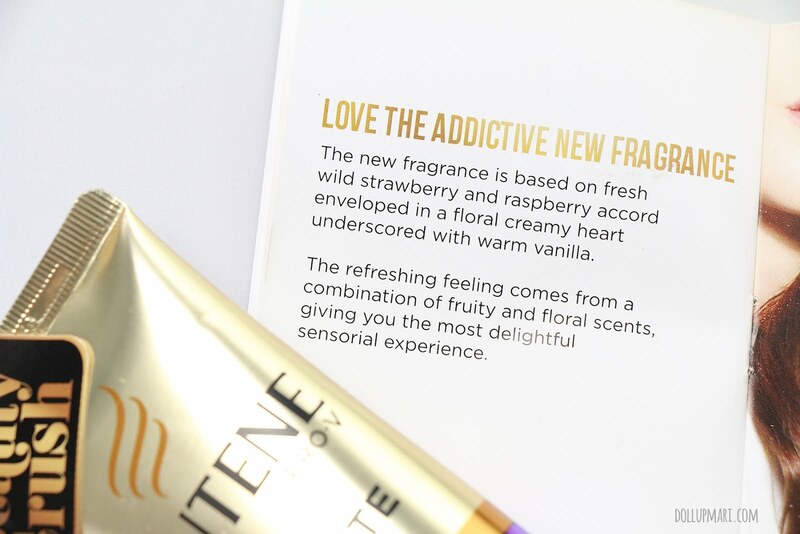 I really love the berry-vanilla combo, and I am now wishing that there were a fragrance like this so I could smell like this all the time! It smells like a tropical paradise, and for the first time, my hair doesn't smell like a disinfectant (let's face it-- almost all good conditioners smell like disinfectants or anti bacterial soaps to some effect). Let's take five seconds to appreciate Bea Alonzo's back. After using it, my hair felt like the usual. For my deep conditioning needs, I use salon professional products (as in legit Schwarzkopf professional use products), and usually, my hair feels so smooth, like as if it had been polished, after taking my bath. For this conditioner, it didn't feel tangled or frizzy, but my hair also didn't feel like it was coated and smooth as with my professional products. The effects, however, started to become visible as my hair was drying. And the miracle, I actually saw it the next morning. I was so shocked that my hair was soft and shiny, but with so much volume and body. Also, since I shower at night and sleep with semi-dried hair, it's normal for me when I wake up to have some chunks of hair wavy, askew, or drunk for that matter. But with this conditioner, that just didn't happen. It was like I could get away with just finger combing my hair and having people assume that I applied hair serum, brushed, and blow dried my hair a bit. To sum it up, basically, ang ganda ng tuyo ng buhok ko with this. I definitely recommend this to people who have limp hair because it has perfected the balance between making the hair soft and shiny but still making the hair airy and bouncy. I also like that my hair was at relatively stable oil levels even when it was already late. As for people with frizzy hair, I am not too sure? 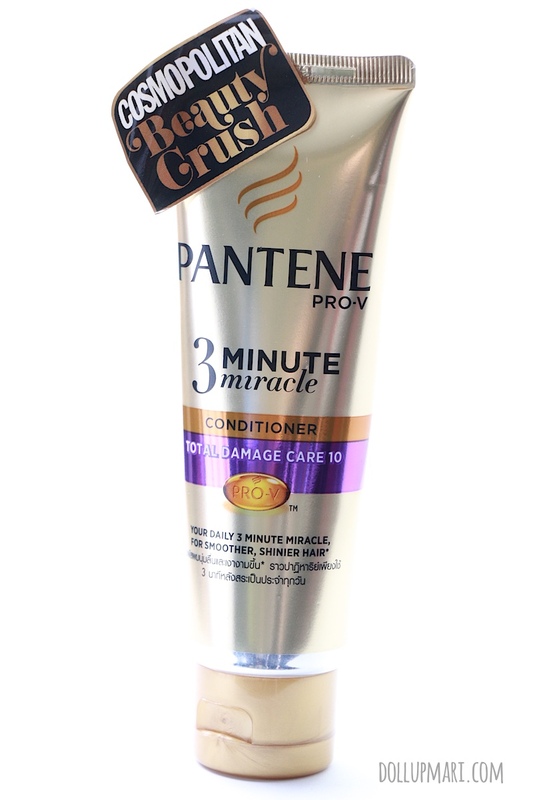 While I am certain that this will work on all kinds of hair, even for frizzy hair, I'm just not sure as to what extent of the miracle the person will be experiencing. Thankfully, this product is affordable, and for those who can catch a free sample at Sample Room or Everyday Me, you can even get it for free so that you guys can experiment with how it will work for you. I am definitely looking forward to stocking up (aka hoarding) on this because I just loooooove the fragrance! And I also love waking up to automatically styled hair hahahahaha. Yes! It is! But since it is very very hyped up about, a lot of stores have ran out for now. It's available now! More of you have to run after stores now because stocks are running out so fast! Hype lang sya for me. Did nothing special to my hair hehe. I got the free sample from BDJ, too. Just like other Pantene conditioners ang peg nya. Ang gamit ko yung Nature Care line nila same lang naman ang epek haha. Amoy lang nito Tutti Fruitti haha. Such a total winner. 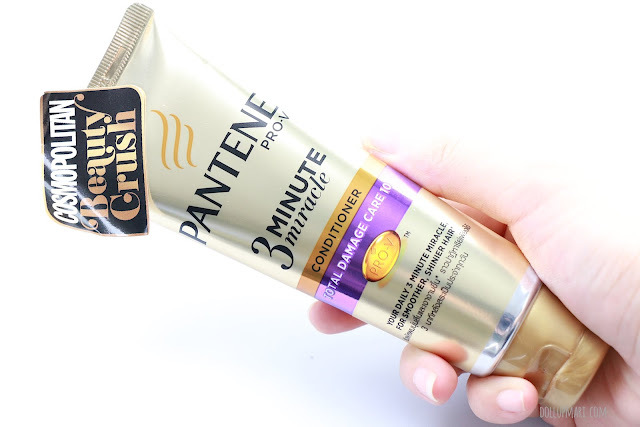 It's so different from all the Pantene conditioners I've tried in the past, so I got a pleasant surprise using 3 Minute Miracle. Agreed! And the smell is the best!! !